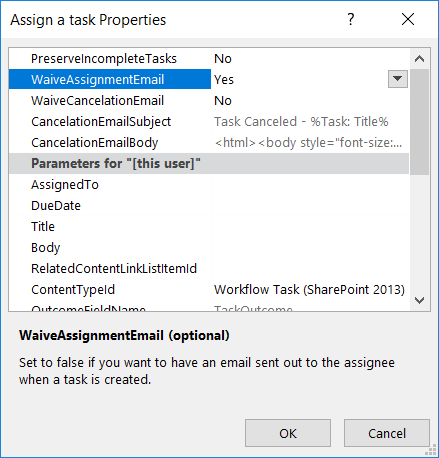 How do I stop a SharePoint 2013 workflow task from sending a notification to the task assignee. 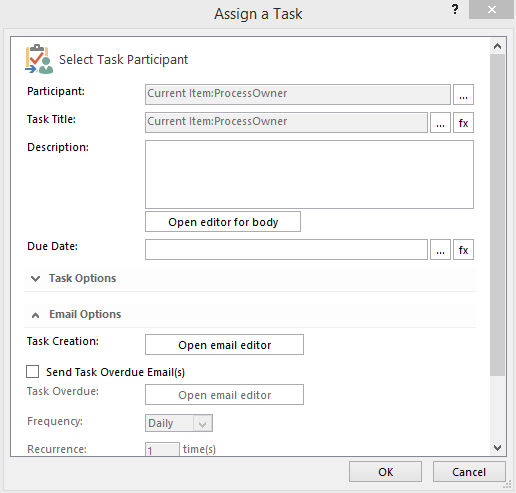 When a task is created it, sends an automatic notification to the task assignee. Can we stop the notification? 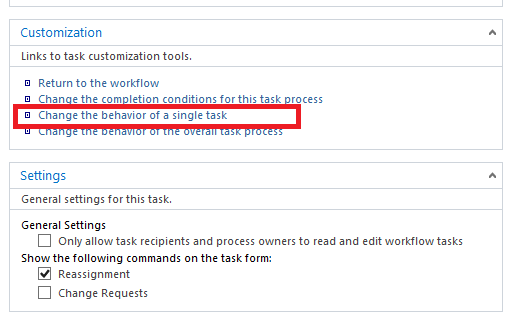 I couldn't find any options in SharePoint Designer when assigning task to a user but there's a setting on the task list that can be changed. 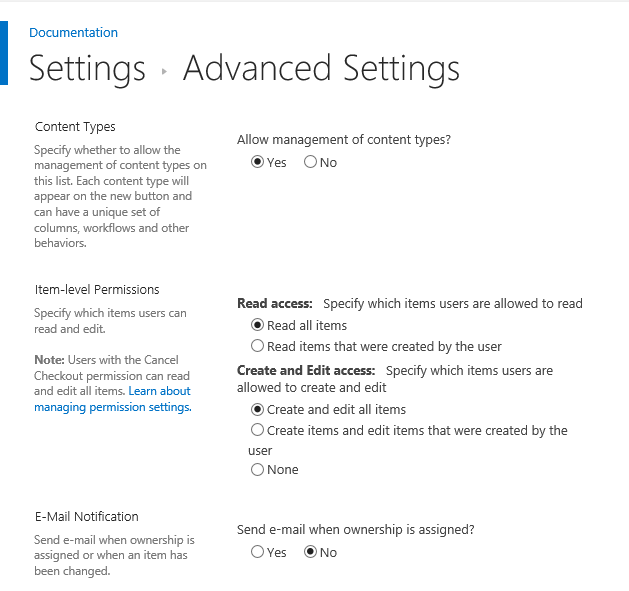 If you go to task list settings -> Advanced settings, you should have "E-mail notification" setting. Check if your list has this part set to Yes, then change and test if that works for you. I believe the below is what you're looking for. That should do it - cheers! Above steps will help you out. Please try and let me know. Not the answer you're looking for? Browse other questions tagged 2013 sharepoint-online designer-workflow or ask your own question.